Electric Motors Club has been selling and servicing electric vehicles since 2013. We unite hundreds of owners into a club of people with a common interest. It is our goal to make electric cars more popular and affordable in Russia and the CIS. 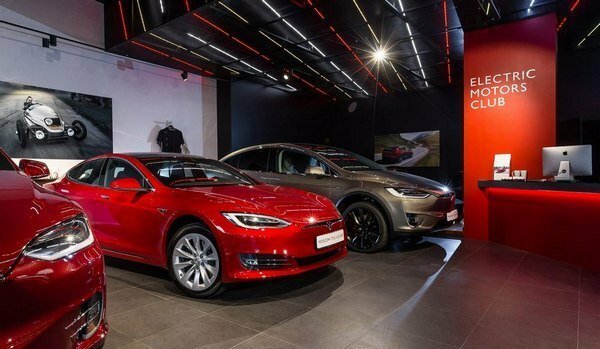 Our flagship showroom on Kutuzovsky Prospect in Moscow features brands such as Tesla, Mercedes-Benz, BMW, Nissan, Fiat, and Kia. Customers can choose an electric car from a catalogue, select one to be delivered from the USA or Europe, or order a customized vehicle. Delivery usually takes from one week to three months, depending on the options chosen. Electric Motors Club provides each customer with personalized service and comprehensive transaction support from the placement of the order with the factory, transportation and logistics, customs clearance, and installation of the ERA-GLONASS system, to the registration of the vehicle. At the customer’s request, the company can deliver the car to any location in Russia and the CIS. We have our own service center in Moscow where our team carries out the full range of services including routine maintenance, diagnostics, repair of electrical equipment, as well as mechanical, body, and tire-fitting work. The owner will also receive full support if the car needs to be sent to Europe for warranty repairs. Only original parts and accessories are sold and used for all models. We always have a wide range of charging devices in stock: wall connectors, adapters, and charging cables.